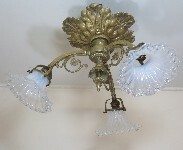 Art Nouveau ceiling light with antique shade. 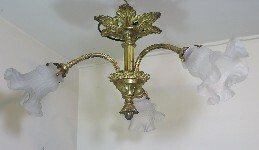 4-branch wrought iron ceiling light with original glass drops and porcelain flower ornamentation. Art Deco ceiling light, c1930s. Pink frosted glass bowl on chrome plated mounting with glass rods around central stem. 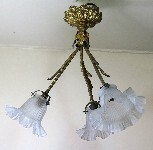 French plafonnier ceiling light, c1910, fitted with antique tulip shade. 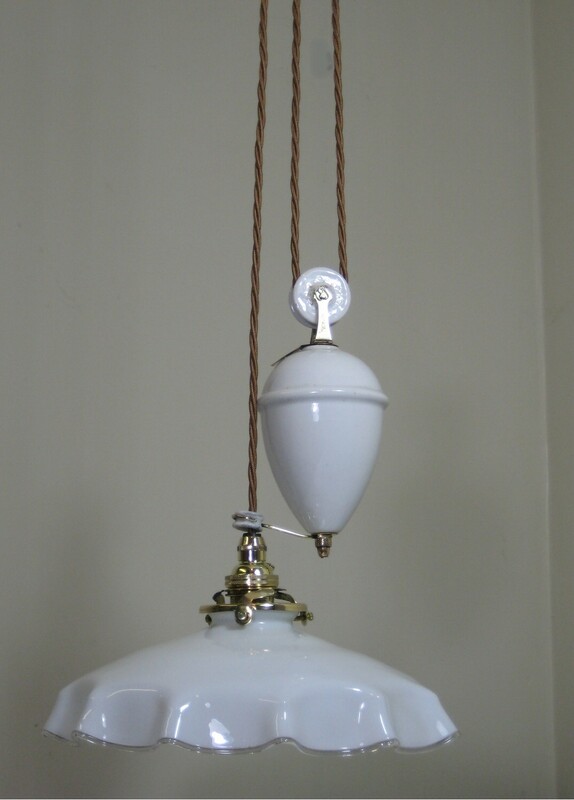 2-branch ecclesiastical hanging lamp, c1910. 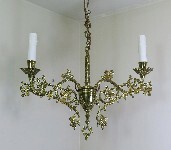 Arts and Crafts 3-branch ceiling light, original finish. Fitted with antique shades. 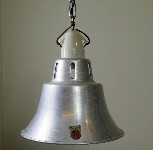 A set of four vintage industrial ceiling lights. Aluminium shades on alloy housings. Fitted with new E27 bulb holder. 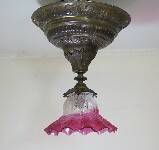 French 3-branch ormoulu ceiling light, c1910. Fitted with antique prismatic tulip shades. 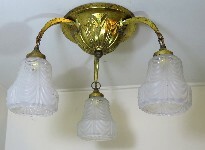 A 1950s ceiling light. 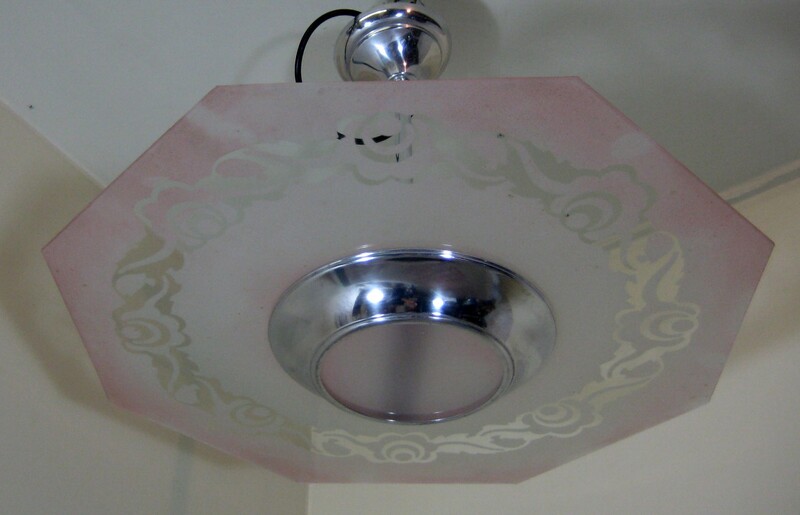 Pink octagonal frosted glass plate in polished aluminium mounting.